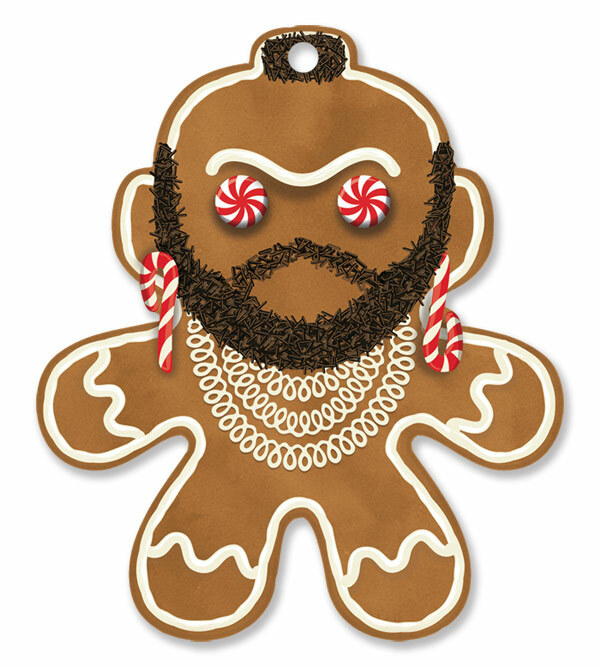 Can't Catch Me, I'm the Gingerbread T! 2016’s T-mas card doubles as an ornament! Die-cut in the shape of a gingerbread man with a hole punched for easy hanging (works as a gift tag, too!). Featuring artwork by Dyna Moe. Sets of 5 cards and envelopes available now in my store. I’ve also done a special tenth anniversary reprint of the original “Peace on Earth” T-mas design. 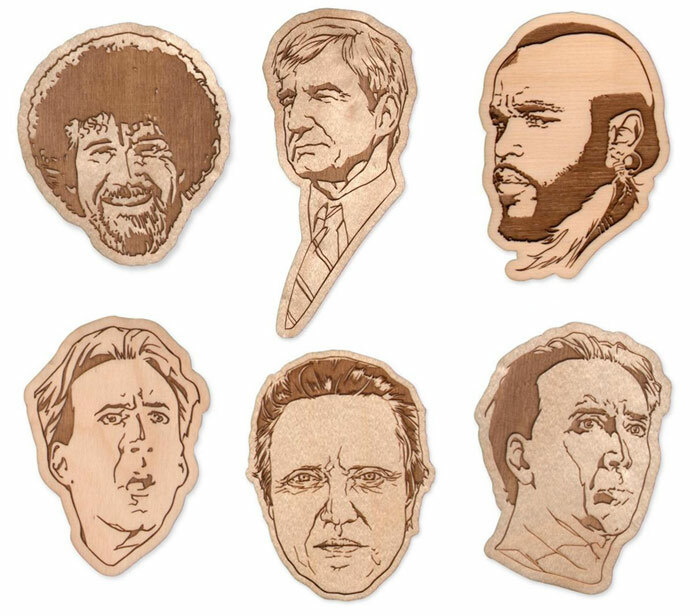 New in my store are a series of handsome laser-cut wood portraits that can be ordered as magnets, keychains, or ornaments. Ships late November/early December. Perfect for T-mas stocking stuffers!